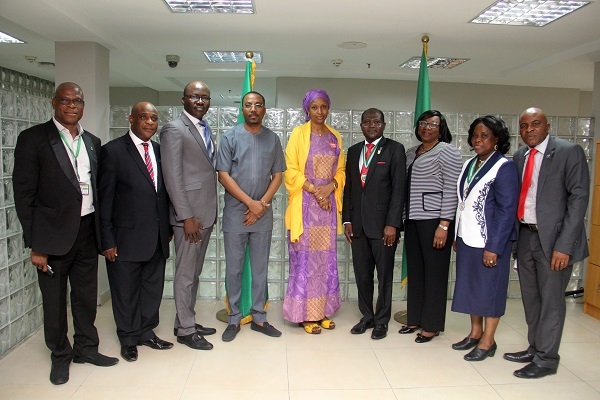 The Managing Director, Hadiza Bala Usman of the Nigerian Ports Authority has asserted that she would continue to stick to laid down regulations and adhere to Government policies in the discharge of her duties. 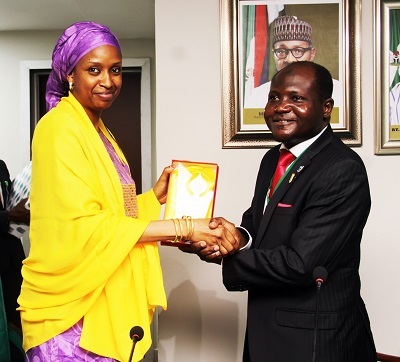 Speaking, when she received the visiting President of the Institute of Chartered Accountants of Nigeria (ICAN), Alhaji Ismaila Muhammadu Zakari in her office, the MD NPA, added that she would strengthen collaboration with the ICAN and other similar bodies as this would help to enhance capacity building of the Personnel of the organisation. Usman who had the Executive Director Finance and Administration Mohammed Bello Koko by her side, added that the NPA administration would give priority considerations to fresh ideas and suggestions which would in turn help improve efficiency in the Authority being the gate way to the economy of this great nation. 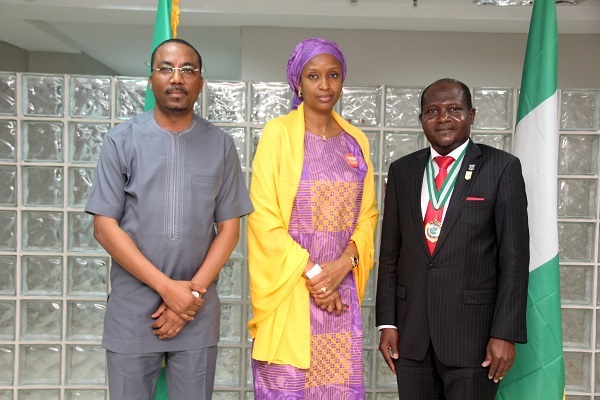 Earlier in his address, the President of the Institute of Chartered Accountant of Nigeria (ICAN) Alhaji Ismaila Muhammadu Zakari, charged the MD of NPA to remain steadfast in the discharge of her duty, as the nation looks up to her and appreciate all she had done since her appointment. Alhaji Zakari stressed that ICAN desire to strengthen her relationships with the NPA since the Institute has a large number of her members in the organisation, adding that they are impressed by all the MD’s efforts to plug leakages in the NPA and her efforts to train the human resources of the organisation. The president of ICAN affirmed that members of the Institute in NPA are always available to assist Management and that they are well trained on the need for confidentiality of reports and as such would help to further stabilize the organisation.